Kid-friendly? Check. Infinity pool? Check. Buffet breakfast? Check, check, check! 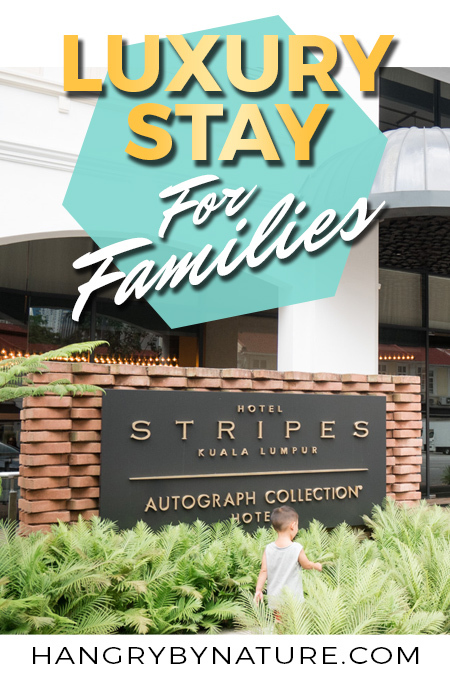 It was an easy choice for myself and my three kids (man child included) to settle for Hotel Stripes Autograph Collection in Kuala Lumpur for our 3-day jaunt through the cosmopolitan city of Kuala Lumpur. WATCH: How Family Friendly is Kuala Lumpur? I distinctly remembered scrolling through my Instagram feed months back seeing travellers contentedly floating on infinity pools with a killer backdrop of the Kuala Lumpur skyline. All I could think was - I need this to slay my 'gram game. I needed to flap around in an infinity pool overlooking the city as gracefully as my naturally ungraceful body would allow. Hotel Stripes promised to deliver on all fronts, so the choice was pretty much a given. Just so you know, this post might just contain affiliate links, which means, I earn a small commission (at no extra cost to you) if you decide to purchase through these links. 5 Infinity Pool & Rooftop Bar - Need I Say More? 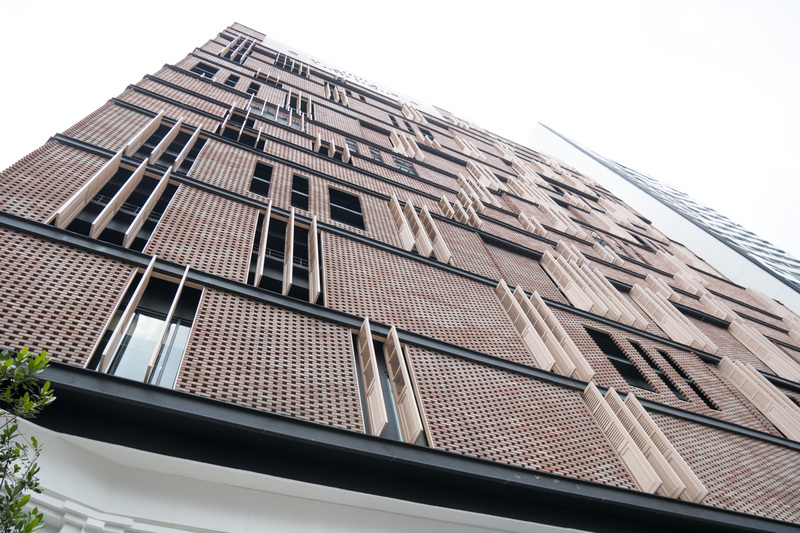 Tucked into the back streets of historic Jalan Kamunting District, Hotel Stripes Autograph Collection is a chic and modern boutique property located a stone's throw away from all of the city's main attractions. Hop on an O-Bike, order a Grab car, or (if you're like me and could do with some exercise) simply use your two legs - Petronas Towers and Bukit Bintang are only a 20-minute walk away. That being said, you won't even need to venture far to find swanky cafes, bars, and a litter of amazing local eateries like Yut Kee Restaurant (literally right next door to Hotel Stripes) which we frequented all too often during our short stint in KL. 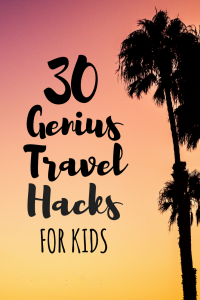 Whether you're indulging in a romantic weekend, a quickie business trip, or you're dropping into Kuala Lumpur with the family, there's one thing I can guarantee. By the end of it, you'll wish you stayed in Kuala Lumpur for longer. I had the pleasure of staying in a Deluxe King Room with my family on the 16th floor - right below the infinity pool. And the bar. How convenient is that? Our room featured an enormous king size bed with pillows far too plush to ever wake up from, coffee and tea-making facilities (and I'm not talking instant coffee, guys. I'm talking a Nespresso capsule machine. Yes, I did O.D. on caffeine during my stay), a flat screen TV, a work desk with complementary snacks (which I, of course, indulged in), and a couch large enough for a grown kid to sleep on. The hotel supplied us with a baby cot for our 1-year old (you can imagine the relief when we found out we didn't have to unpack our travel cot), and we squeezed our almost 3-year old between us on the enormous bed. It was actually the first time I was able to bask in my own personal sleeping space after weeks of sharing crampy doubles and queens. The shower has a bench. I repeat. The shower has a bench. I didn't even know sitting down to shower was a thing. The walk-in shower was spacious enough to fit all four of us in, and still contained enough space for our baby to crawl around. 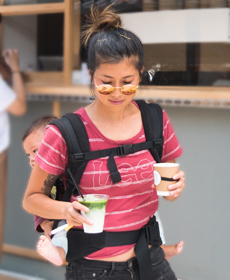 I don't recall having to open a single door at Hotel Stripes in Kuala Lumpur, which is great, because who wants to go through the effort of opening doors when you're carrying a baby, pushing a stroller, and carrying a backpack? We were always greeted with the warmest of smiles, regardless of whether we were leaving for the Batu Caves at the crack of dawn, or returning from a long night out sampling all the street food that this colourful city has to offer. The best display of customer service we had seen was when we underwent somewhat of a parental emergency. The night before we were due to leave, we were packing our suitcases only to realise that our 2-year old's favourite fluff dog sleeping companion "Happy" had gone missing. Parents will know that this is a legit emergency because, chances are, your child will probably never sleep again without his plush animal comforter. We immediately had a sinking sensation that the cleaner may have accidentally rolled Happy into the linen whilst removing it from our bed. I called up reception and they sent off a search party (mind you, this was at 10pm) to locate Happy. Twenty minutes later, someone came a-knockin' on our door (with a huge grin) with Happy tucked inside his arm! It was an emotional reunion with hugs and smiles all 'round. Peace was, once again, restored in our universe. When staying at a hotel in South East Asia, it would be a sin to forego a delicious buffet breakfast. 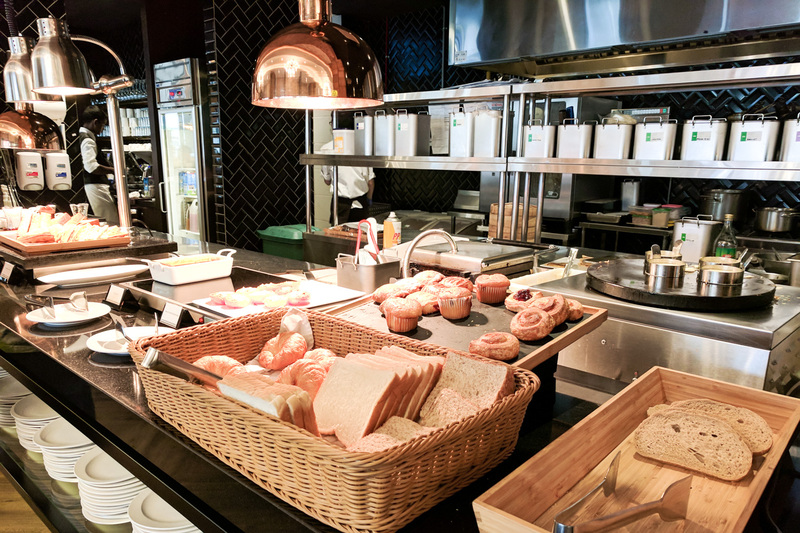 It's an even greater sin to pass up on the heavenly breakfast offerings that Hotel Stripes makes available every morning at Brasserie 25. Upon entering and grabbing your plate, you'll be faced with the difficult decision of where on earth to even begin, and you'll probably curse your body multiple times for not growing an extra stomach to fit more food in. From Malaysian staples, like Nasi Lemak and Rendang (yes, you can totally have curry for brekky), to freshly cooked eggs, pancakes and waffles - you'll probably spend the entire morning recovering from a 'no regrets' food coma. If you're in a rush to get somewhere, they're even thoughtful enough to have a stand filled with pre-made sandwiches and yoghurts which you can grab before dashing off. After a month of travelling through South East Asia and ingesting predominantly rice, I have to say, a change of cuisine at Brasserie 25 for dinner was warmly welcomed. Can you guess what it is? Yes, Francois. And, you know what I was hanging for? 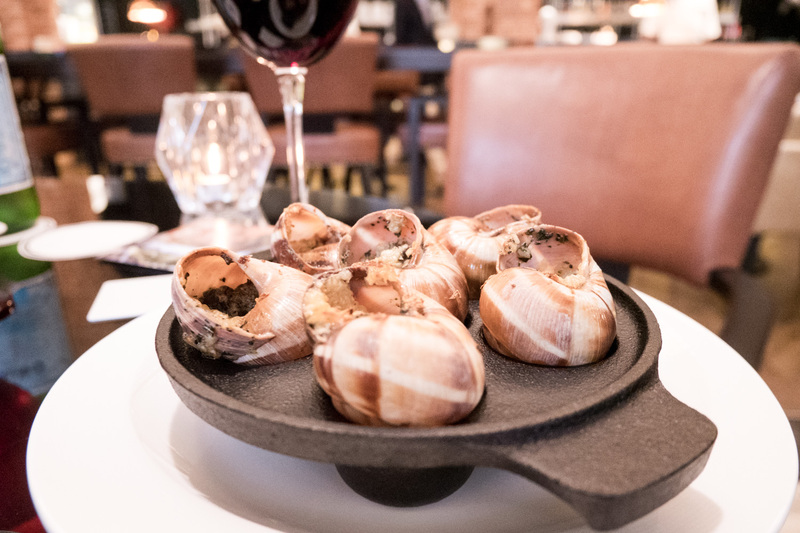 Le Escargot. The last place I had it was, well, in Paris 10 years back. From the smoked salmon entree to the perfectly cooked lamb and Creme Brulee - I am literally drooling onto the keyboard as I'm typing this. 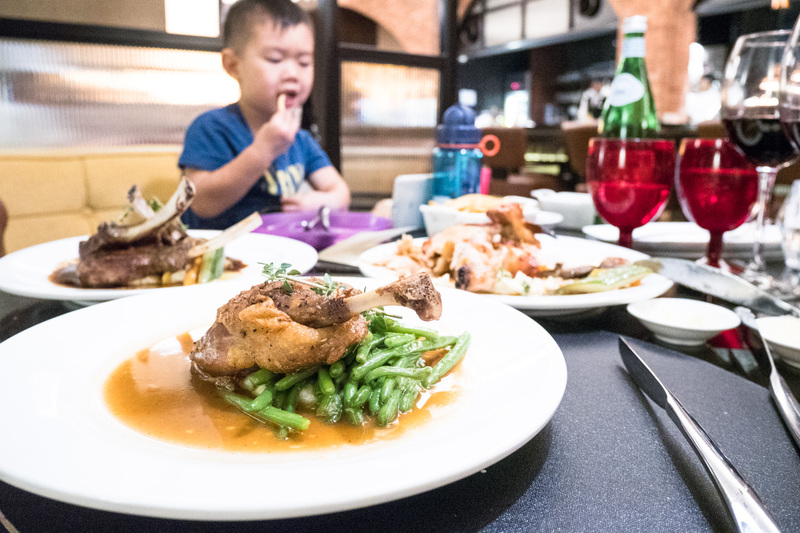 If you're staying at Hotel Stripes in Kuala Lumpur, this restaurant is not-to-be-missed. Infinity Pool & Rooftop Bar - Need I Say More? 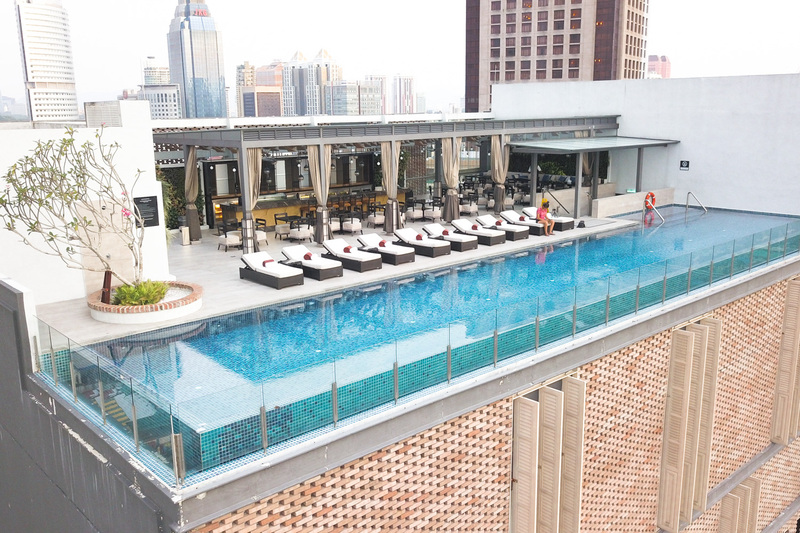 Infinity pool next to a rooftop bar - I don't know whether that's genius or a recipe for disaster. Well, in my case, genius. On a fine Kuala Lumpur evening, I gave hubby the 'puppy eyes' and asked him to go for a swim with the kids while I kicked back on the lounge and had a much needed cocktail at Man Tao Bar. I indulged in one of their signature cocktails that was laced with Sriracha. Yes - the chilli sauce Sriracha. That was a smokin' combo and gave me the wake up kick I needed after a hard day of sightseeing with two little ones in tow. Oh, and I'm just going to drop it in here that Saturdays between 6pm - 9pm is free flow cocktail night for 83 Malaysian Ringgit (20 USD) per person. Free flow cocktails, guys. If my kids weren't bound to me, I would be on the next flight back to Kuala Lumpur just for this. Okay, if Saturday night free flow cocktails didn't convince you to stay at this hotel, then I don't know what will. I mean, that and buffet breakfast is, honestly, the meaning to life. If you're looking for a hotel in Kuala Lumpur that's trendy, comfortable, friendly, with top notch food and killer views over the infinity pool - this is it. 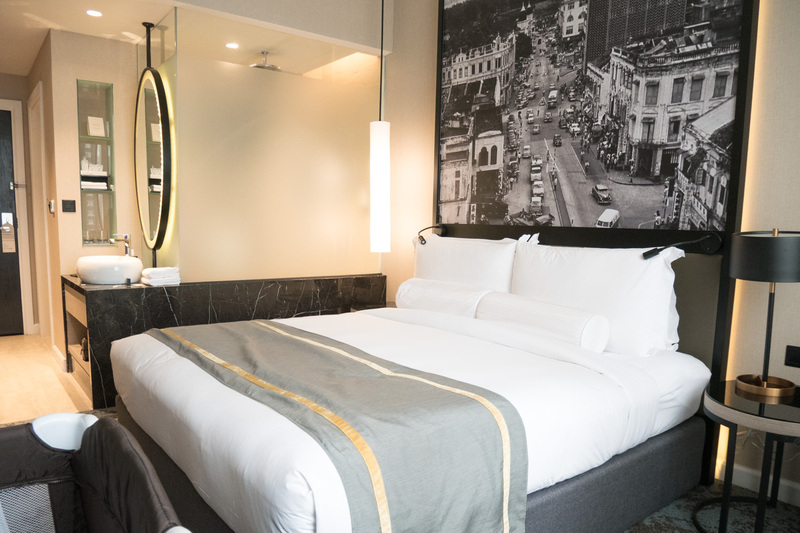 I have absolutely no hesitation in recommending Hotel Stripes as the perfect retreat for your stop over or holiday in the colourful city of Kuala Lumpur. 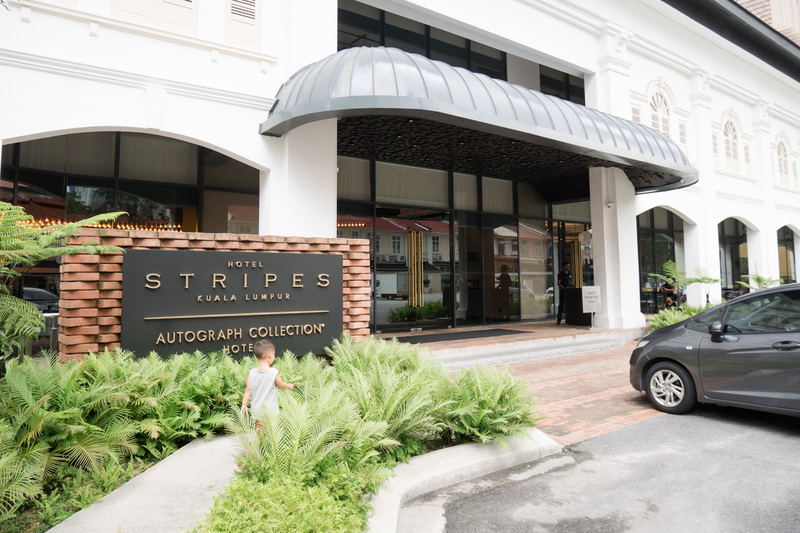 Our stay was graciously hosted by Hotel Stripes Autograph Collection. All opinions, experiences and stories are, as always, my own.